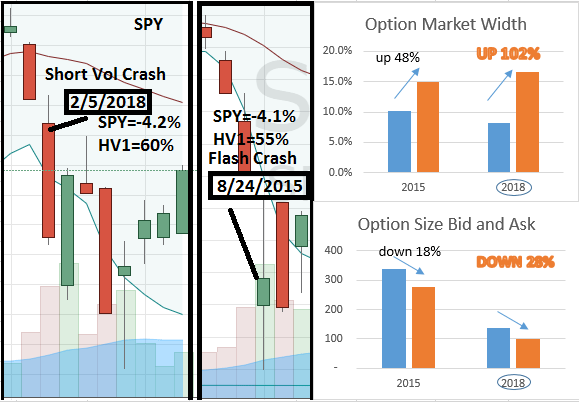 How Options Markets During the Short Vol Crash of 2/5/18 Stack Up Against the Flash Crash of 8/24/15. The options markets deteriorated during the 2/5/18 crash with markets widening and posted size on the markets falling and cost options traders plenty. It is helpful to give some context to the amount of deterioration that would be expected based on a comparison to the last similar event, the Flash Crash of 8/24/15. In the flash crash of 2015 the width went from 10.1% to 15.0% (up 48%) and in 2018 the width went from 8.2% to 16.6% (up 102%). 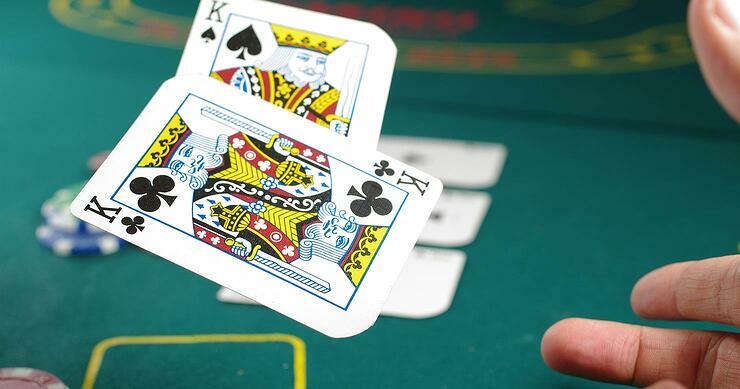 The fragility in the options market can be attributed to the falling number of market makers and other posted liquidity providers.